WEST LAFAYETTE, Ind. — Purdue University officials on Monday (May 9) announced that one campus fraternity has been placed on suspension and another on probation for violating university regulations and Interfraternity Council policies. 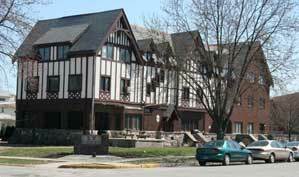 Purdue has suspended the Delta chapter of Alpha Gamma Rho after a university and Interfraternity Council investigation determined that fraternity members participated in hazing activities and served alcohol to minors. The Delta chapter of Alpha Gamma Rho was suspended after a university and Interfraternity Council investigation determined that fraternity members participated in hazing activities and served alcohol to minors. Sigma Pi fraternity was placed on probation for alcohol violations during a “Country Club” themed party in January at which alcohol was served to minors, said Pablo Malavenda, associate dean of students. 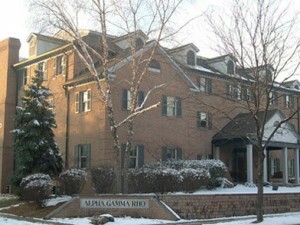 Alpha Gamma Rho’s suspension will extend through May 1, 2012. The fraternity may then petition the Office of the Dean of Students for reinstatement. If the suspension is lifted, the chapter will remain on probation through May 1, 2013, at which time it may petition for a return to full status. A suspension means the fraternity still exists as part of the university but is not in good standing and has no privileges during the length of the sanction. During the suspension, Alpha Gamma Rho cannot participate in programs with other recognized student organizations, university-sponsored activities or intramural athletics as an organization. The chapter also cannot use university logos, trademarks and name; receive university funding; and will not be eligible for awards through Purdue, regional and national associations or the fraternity’s national headquarters. Purdue has placed Sigma Pi on probation following a party where alcohol was allegedly served to minors. A new-member education program review and revision for the fraternity will be conducted immediately by the Office of the Dean of Students, the international fraternities and an alumni advisory board. Members also must participate in at least two community service projects each semester and in alcohol and hazing educational programs. Sigma Pi fraternity’s probation will last through Dec. 30. No alcohol will be permitted at the fraternity until Oct. 31, and members must complete alcohol education programs. In accordance with Interfraternity Council and Panhellenic Association guidelines, the chapter also was fined $500 for serving hard alcohol. The money will be deposited into the Caliber Alcohol Education and Prevention Fund.